Zebra, a provider in specialty printing and automatic identification solutions, announced its high performance RFID printer/encoder for high-volume item-level tagging: the R110Xi4. 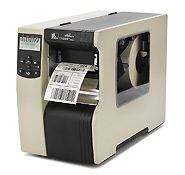 With Zebra’s patent-pending Adaptive Encoding technology, the RXi4 can detect the RFID inlay position within the label and automatically configure the printer/encoder without having to manually calibrate for the inlay, thus ensuring tag accuracy and saving time and money. The RXi4 has the ability to print/encode small tags very close together with a distance as narrow as .6-inch/16 mm. By spacing inlays closer together, label converters use less material which converts to lower cost per label, fewer media roll changes and faster printer/encoder throughput. The printer also senses the RFID inlay position to optimize encoding and enables companies to use media converted for other-brand printer/encoders with minimal printer reconfiguration. To watch a video demonstration of the RXi4 click here.